Cobalt’s colorful new line of premium silicone air tubing. 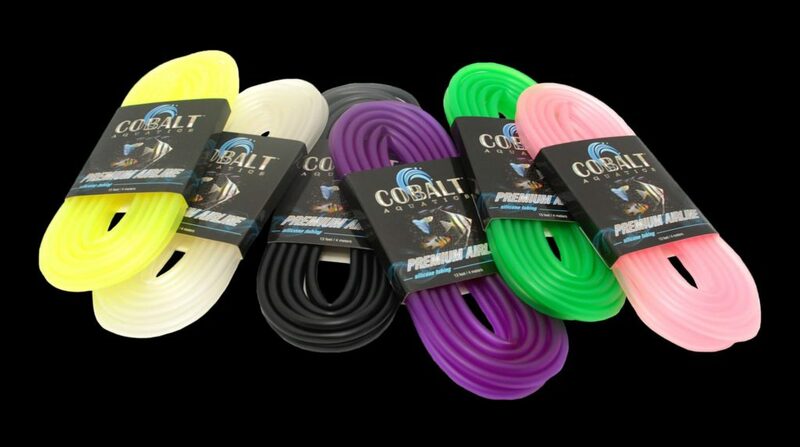 Cobalt’s new line of Premium Silicone Airline is available in a wide variety of colors ideal for any tank. Natural silicone means our airline resists kinking, hardening, and breakdown. Suitable for use with air pumps, dosing systems, CO2 reactors and injectors, and more. Sold in 13-foot packs, our Silicone Airline can easily be cut to fit any application.